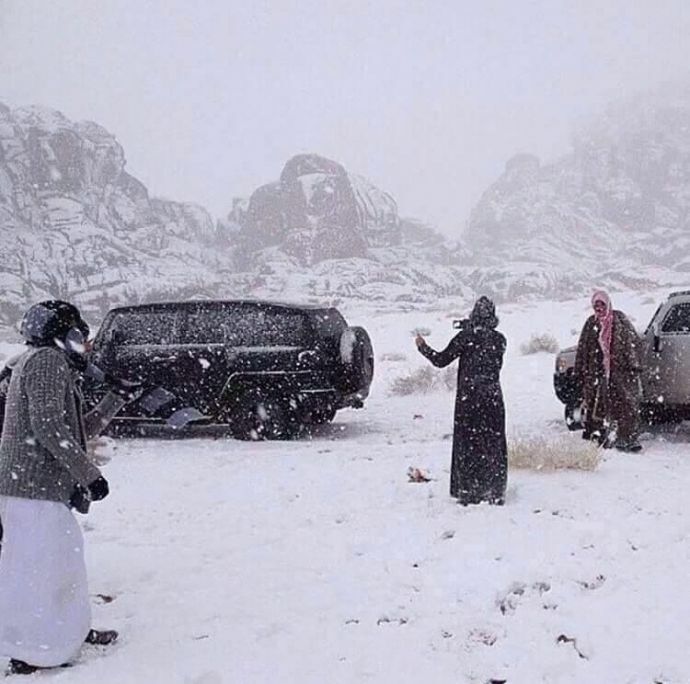 Saudi Arabia Experience A Blissful Magic As ‘Snow’ Covers The Hot Land! 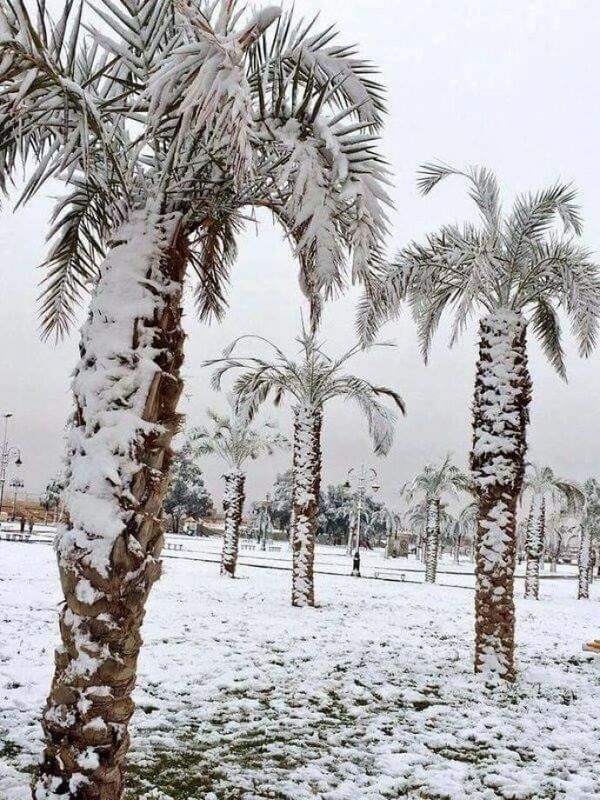 Beautiful and Spectral Snowfall in Saudi! 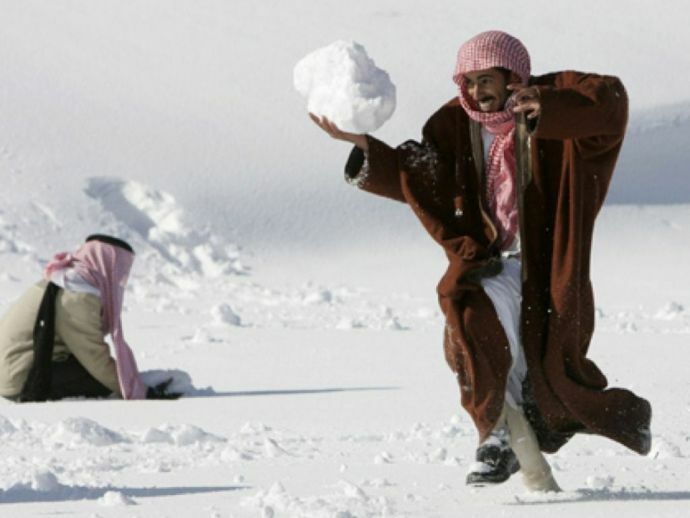 In a surprising turn of events, citizens of Saudi Arabia woke up last week to a rather pleasant surprise, ‘Snowfall’. 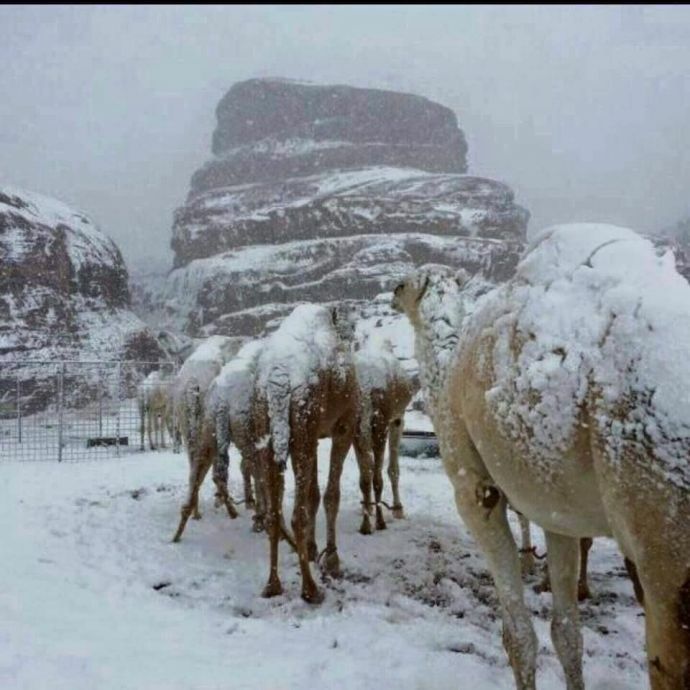 The usually sultry and stifling Saudi was treated with blankets of snow and the arid land turned into a bizarre cold wonderland. In the northwestern part of the countries, the sand was completely covered in snow and the temperature fell down to a freezing -3. 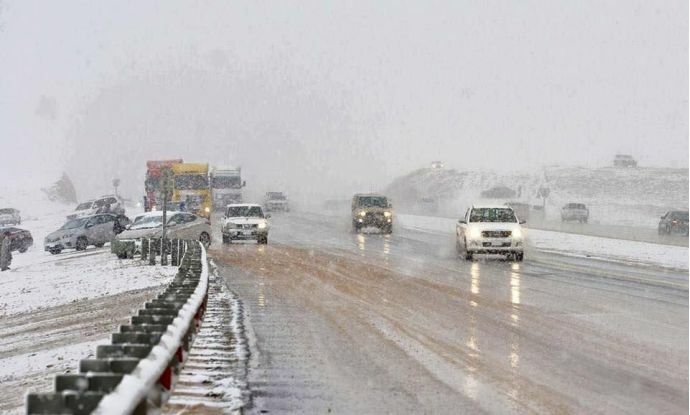 Even though November is considered as the coldest period in Saudi, snowfall was certainly a startling phenomenon for the citizens to experience.